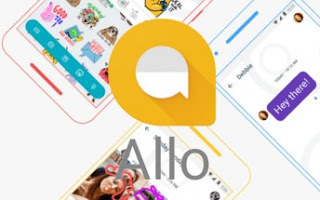 Google's Allo messaging app is in the process of receiving some new features today. No, it's not getting a web-based client, or SMS support of any kind. Not yet, at least. But it does now feature chat backup capabilities, allowing you to store your past chats locally, in the cloud on Google Drive, or both. Next up, group conversations can be had in incognito mode too. Previously, this was only available for one-on-one chats. Incognito mode enables end-to-end encryption and lets you set an expiry time on your messages. Google Assistant and Smart Replies aren't usable in this mode. Finally, Allo receives link previews for URLs that are shared inside chats. This lets you see what a link is pointing to before tapping on it. All of these features are rolling out via a server-side switch starting today. On the other hand, Duo, Google's video calling app, is currently boasting over 50 million downloads in the Play Store for Android. That sounds quite impressive, until you realize that it's been one of the mandatory preloads for Android device makers for a while now - so essentially every new Android handset that comes with Google services has to have it preinstalled.